£12.68 each & FREE Delivery in UK. This advert is for one spare file for the fret levelling file. It is just the diamond coated metal file and the handle is not included. The complete tool (handle and file) can be purchased from another one of our listings. The handle is recessed with a dove tail slide allowing the file to slide into it and this allows the file to be replaced or swapped for a smaller or different grit (fine or coarse) file. This versatility offers and economical solution as the small files can be used for spot levelling and the bigger files for general levelling over many frets. The files are high quality diamond files machined to fit the holder. All sharp edges are ground smooth on these files and so they can be used for a variety of guitar jobs such as re-profiling the frets crowns after the frets have been levelled. As with any abrasives used near a guitar - always use adequate shielding of fretboard, guitar body, pickups etc. 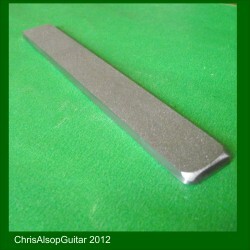 Suitable for Stainless Steel frets. • File flatness checked on a laboratory grade engineering surface plate. This is a short diamond file with a permanently bonded oak handle. It is designed to be guided along.. 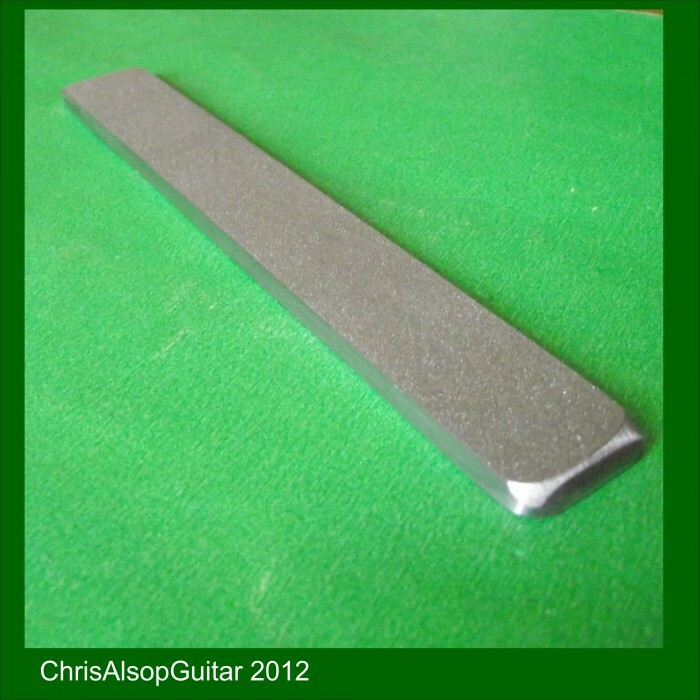 This is a pair of fret leveling tools. One 150mm Long File AND One 70mm Long File. Each tool has a d.. Constructed from Beech with Cork on neck contact surface with softwood ramp This is a simple design .. This neck rest / neck caul is available in many different lengths. Please contact us if the si..